This AMAZING image was made by TonomuraBix . 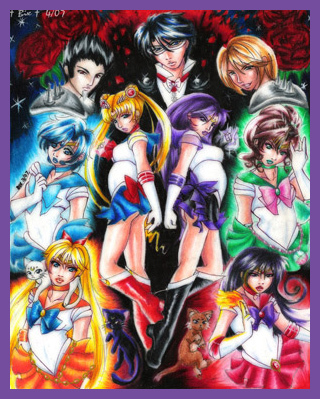 My first fanfic, Return of Astera is a tale written about my otaku senshi, Sailor Astera. Astera lives in a world distorted by her own vengeful mind, tormented by foggy memories of her past and an undying desire to seek revenge upon the senshi of the White Moon. This tale encompasses the adventures of Sailor Astera in present day Tokyo as she seeks to destroy Sailor Moon based on what she believes happened thousands of years ago. But what if she believes in is not really the truth? Rated PG-13 for some descriptive violence and mild language. The Return of Astera Official Soundtrack!